With a background in investment advice and self managed super fund (SMSF) administration, Amiee Telfer is well placed to advise retirees on investments in their SMSFs. 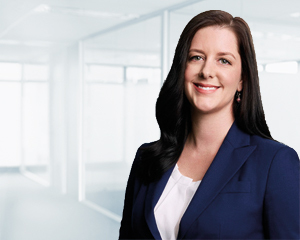 Based in Canberra, but supporting both Brisbane and Canberra clients, Amiee provides tailored investment and asset allocation advice in line with Investment Committee recommendations and clients’ goals and risk profile. As well as the client interaction, which she enjoys, Amiee also works with the wealth advisory and research teams reviewing client communications and conducts training of wealth advisory staff. Amiee’s clients have a broad range of investment experience from very sophisticated to little experience. “Understanding risk versus return and the importance of real diversification is a challenge facing today’s investors,” she says. “For example, Australian shares and cash by themselves are not adequate for a diversified portfolio, and it’s important to understand that investors’ higher return investments often come with higher associated risks. Amiee is interested in the fixed interest space, which has evolved considerably since the global financial crisis and now offers many quality products designed to provide capital stability. Amiee joined Dixon Advisory in the Canberra office in 2006. She worked in the SMSF team as an Account Manager before moving into investment advisory. Amiee has a Bachelor of Commerce and a Bachelor of Economics from the University of Canberra. She has a Graduate Diploma of Applied Finance from Kaplan Professional Australia and is accredited to provide advice on securities and managed investments by the Stockbrokers Association of Australia.